Robots and androids are a staple in science fiction. Some of these mechanical beings have even become part of popular media. We have R2-D2 and C3-P0 from Star Wars, Astro Boy and Voltron from Japanese anime, Data from Star Trek: The Next Generation and, of course, the entire slew of Transformers. Comics also have a huge number of iconic robotic creations, such as the monstrous Sentinels, the evil Ultron and the heroic Vision to name a few. However, there have been a lot of forgotten android creations from the comics world that have fallen into obscurity. Here are just a few of these mechanical men that have fallen out of the popular consciousness. Let’s start out with the most popular group of robots, shall we? The Metal Men has had a few notable cameos as of late. Will Magnus, the creator of the Metal Men, had a huge role in the direct-to-video DC Animated film, Justice League: Gods and Monsters. The group also had a few animated comedic shorts when DC Nation was launched. Unfortunately, those versions don’t really convey how much fun the Metal Men were in their original Pre-Crisis renditions. The “original” Metal Men did fight on the side of good but there was a little more to them than just that. Each of the robots had distinct personalities which made them actually seem like characters than just mere robots. And these personalities made them really fun! I love seeing Platinum get jealous of Will Magnus’ dates. Or seeing Mercury get angry and want to steal the leadership role from Gold. Okay, technically, Rom is a cyborg but I just want to put him on the list, alright? It would be a shame to not include him because of a technicality. Like most awesome things from the late 70s and early 80s, the Rom series was born to sell toys to little kids. Parker Bros, in an attempt to build interest with their new toy robot, went to Marvel Comics and inked out a licensing deal with the comics giant. The new series featured Rom, a volunteer from the planet Galador who had his brain transferred into a robotic warrior called Spaceknights in order to face off the invading army of aliens called Dire Wraiths. While the Spaceknights managed to drive away the invading forces, the Dire Wraiths used their magic (yes, magic!) to trick Rom into letting them escape. Rom then felt guilty for allowing the Dire Wraiths from escaping so he pledged that, before he does regain his human body, he would hunt them all down. It’s a pretty cool story with some clever dark twists. 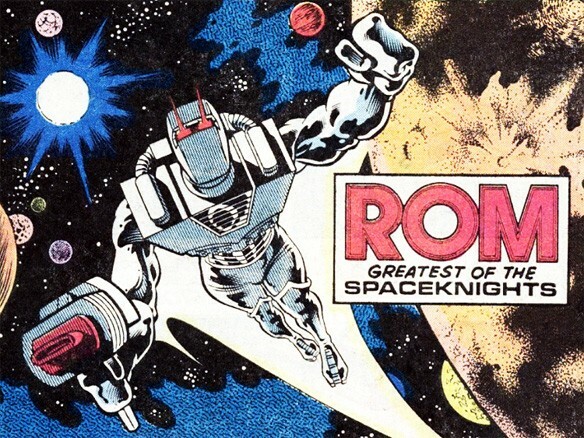 Unfortunately, since the comic was born from a licensing deal, I doubt we’ll ever see a “revival” of Rom. Shame, really. I would love to see what today’s writers could do with the character. What is it with Marvel and licensing toys? And they got the least popular ones at that! Yes, there was a time when Marvel comics featured Japanese Super Robots! The comic series was based on the toyline of the same name. The toys themselves weren’t any good as they were essentially hunks of plastic molded to look like robots. They didn’t feature any of the gimmicks which made the Super Robots special. 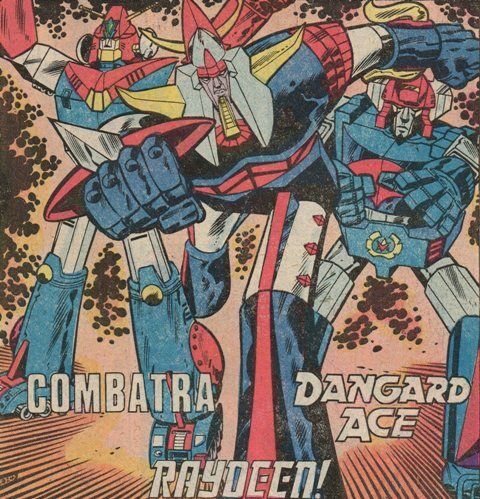 Thankfully, the comic series were a little more faithful to their Japanese Super Robot roots! Raydeen could turn into a hawk-shaped plane. Dangard Ace could break apart and combine into a huge spaceship and Combatra (shouldn’t she be named Combattler?) could break up into five separate vehicles. Unfortunately, Shogun Warrors may seem like a good idea on paper but it just didn’t work. I mean, just because it looks fantastic in animation, that doesn’t mean it’ll look good in comic form. The action was slow and plodding. The characters and the new storyline, involving some group called the Followers of Light getting human pilots to fight evil, was boring. Shogun Warriors was cancelled after only 20 issues and understandably so. Are there any other forgotten robots in comics that you feel are missing from this list? Let me know what they are in the comments section below!